A Resident Evil TV series is in the works and it's heading to Netflix. The very popular zombie franchised started life as a video game released by Capcom in March 1996 and has since gone on to achieve multi-billion dollar success worldwide across several platforms. Most recently, the highly-anticipated Resident Evil 2 remake just arrived for gamers out there to enjoy. But now we've got something else to look forward to, as the franchise is heading to the small screen for the first time. According to a new report, Constantine Film, the company in charge of the on-screen rights for the franchise, has begun working with Netflix on a Resident Evil TV series. We've known for some time now that the company was looking to reboot the franchise after the series of movies, directed by Paul W.S. 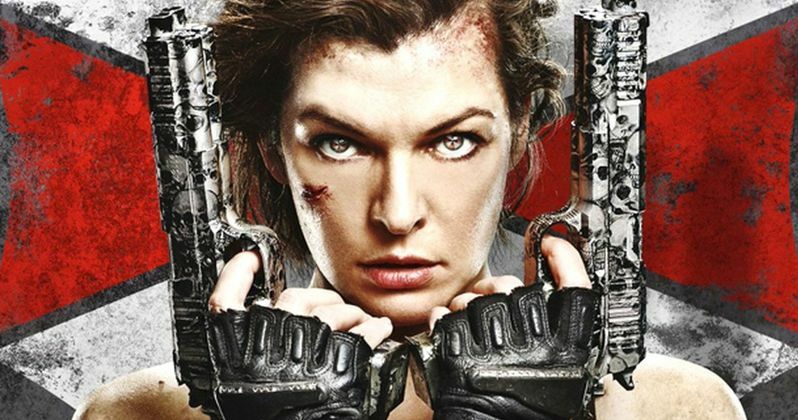 Anderson and starring Milla Jovovich, wrapped up with 2017's Resident Evil: The Final Chapter. While a movie is still on the table and actively in development, they're looking to expand the franchise to also include this TV series. Details are currently scarce and it appears to be in the early stages, as the companies are currently in search of a showrunner. It's said that the show will center on a relatively simple premise, loyal to the core idea in the games, that sees a world in the aftermath of the outbreak of the T-virus, in addition to exploring the inner workings of the Umbrella Corporation, the company behind said virus. It's also said to be full of action and Easter eggs for fans to be on the lookout for. They're also hoping to "deepen the existing mythology." The video game series has sold more than 85 million copies worldwide and the six movies grossed $1.2 billion worldwide, making it the most successful video game movie franchise ever. Needless to say, there is an audience for a show such as this and Netflix has an awful lot of subscribers who are always on the hunt for more premium content. If handled correctly, this could prove to be a massive hit. Not to mention that the streaming service has already had a lot of luck in adapting a video game for the small screen in the past with their Castlevania series. Interestingly enough, this report notes that the proposed movie reboot is still on the table. Recently, Johannes Roberts (47 Meters Down) was hired to write and direct. Would both projects take place in the same universe? If the show goes to Netflix, will the movie reboot also go to Netflix? For the time being, we have more questions than answers, but this is a potentially huge get for Netflix and, depending on how it turns out, a possibly very exciting development for the future of this franchise. We'll be sure to keep you posted as more details on the project are made available. This news was first reported by Deadline.